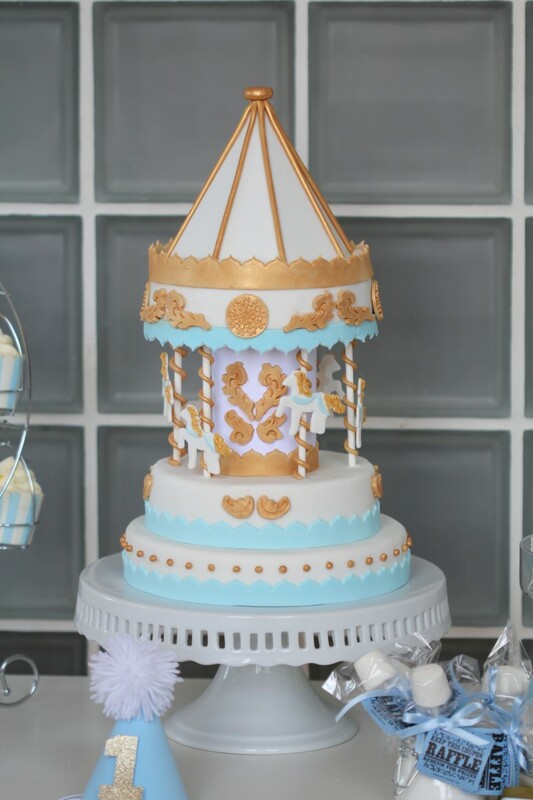 Tutorial for my Carousel cake – this worked for me! 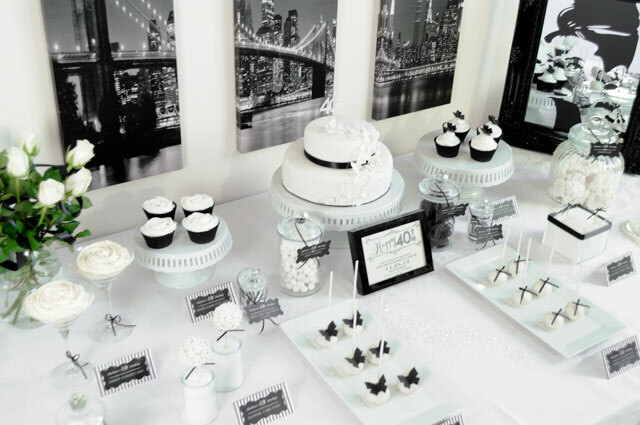 After I shared my carousel dessert table I’ve received SO many emails and messages asking how I made the Carousel cake therefore I thought it would be easier to put a post together and share my experience with you. During the 2 and 1/2 days which took to make the cake (yes that long!) 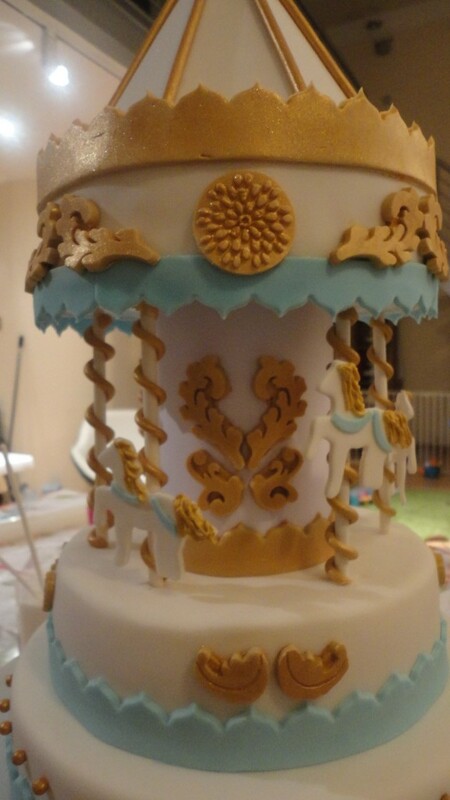 I took random pictures of “the cake in the making” and I’ll post them here so you can have a better idea of how I put the whole carousel together. I’d like to add that I’m no expert whatsover 🙂 I only like to make beautiful things and to achieve them I try to get as much tips as possible from various sites, blogs, tutorials. 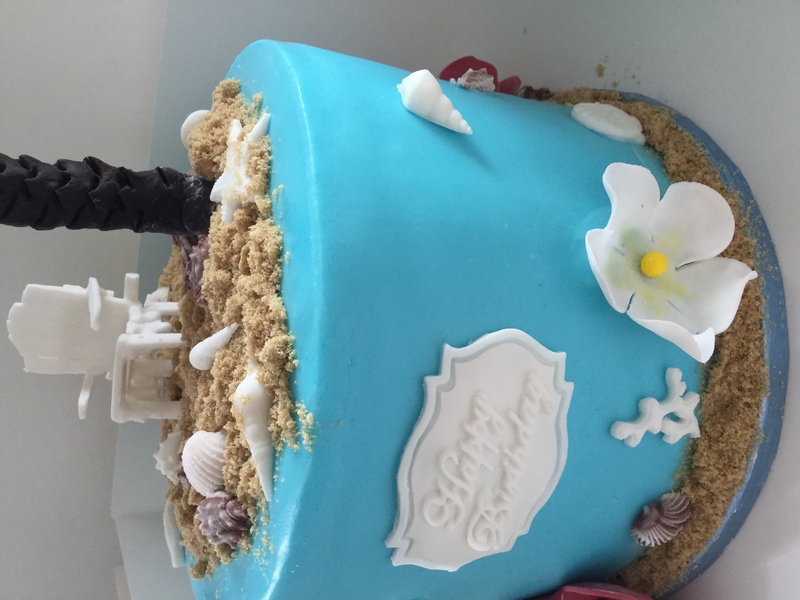 This is what has worked for me so I’d like to share it with you and hopefully you will enjoy making this beautiful cake too! First of all I decided the size of my cake. 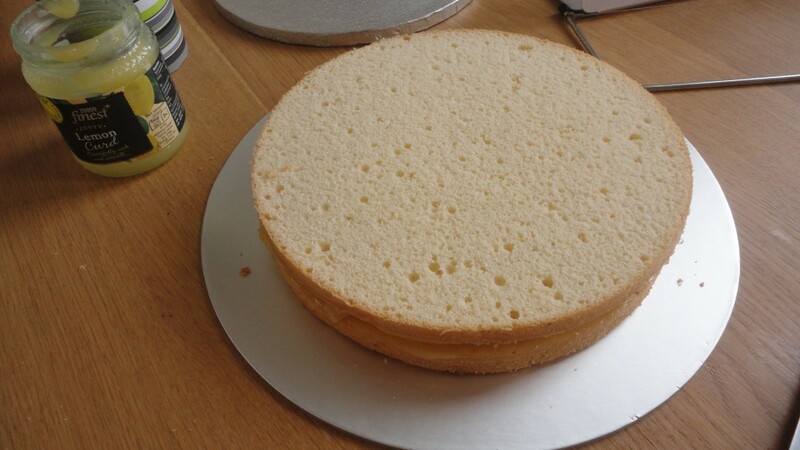 I used 2 x 18cm vanilla sponge cakes and 1 x22cm. 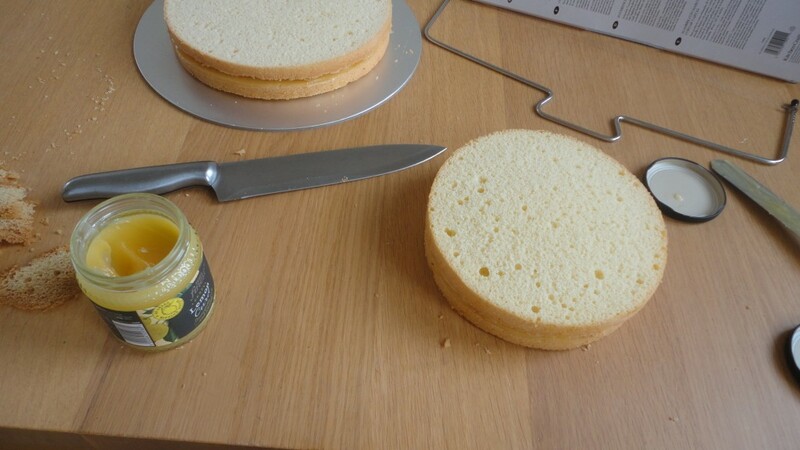 Because the cake HAD to be very stable, I only filled the layers with some lemon curd which gave the sponge a lovely fresh taste. I then covered each cake (a part from the top one, I will later explain why I left that one out) with white ganache. 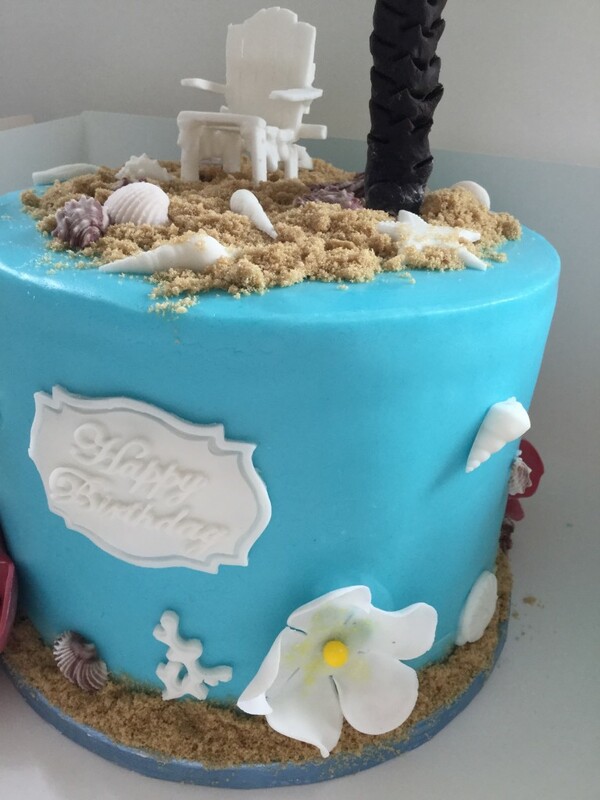 The reason behind this is that when you cover the cake with ganache and then with fondant, the result it’s a much neater cake. I personally find it easier to smooth the ganache plus once you place the cake in the fridge the ganache gets harder and it stays that smooth. 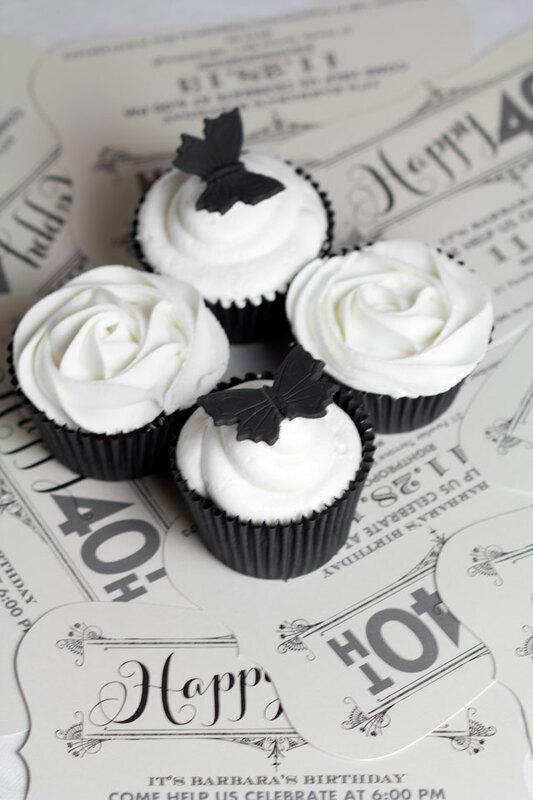 If you were to use buttercream you would get different bumps plus for me it is very difficult to smooth. 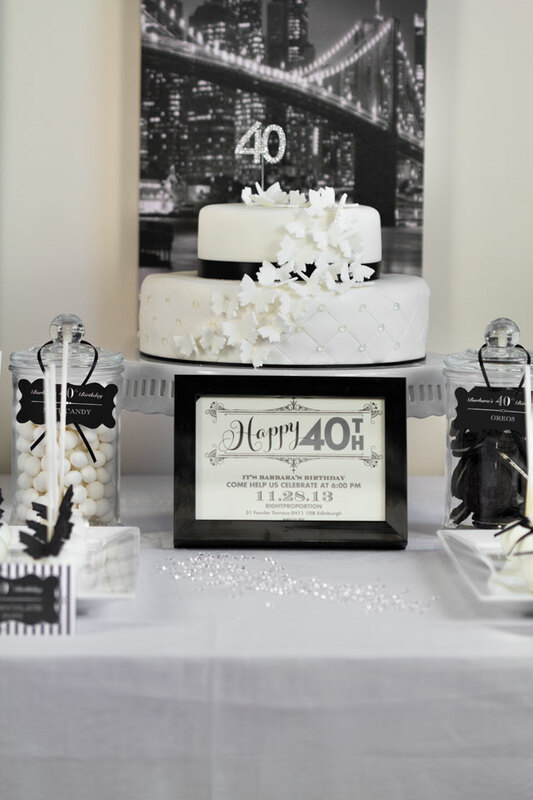 TIP: An amazing tutorial on how to cover your cakes with ganache can be found here. 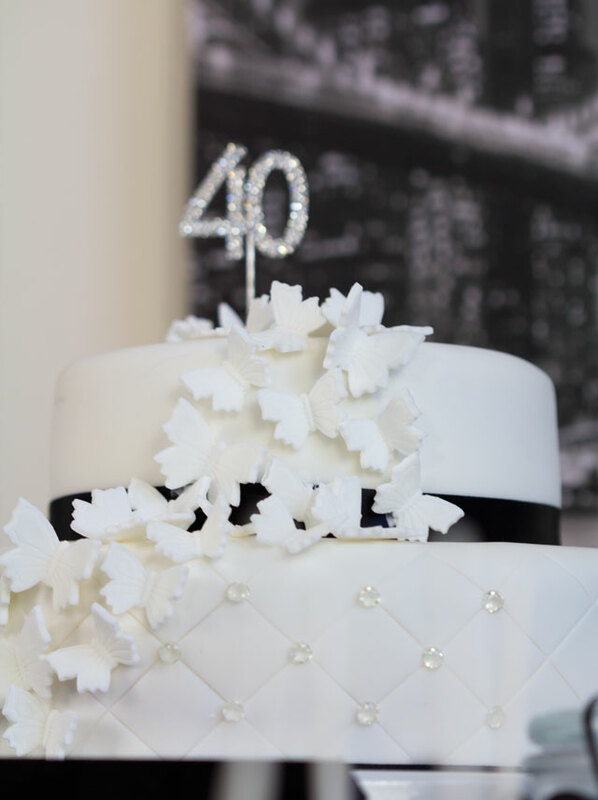 Once my cakes were covered with ganache, I covered them with white fondant and then I stacked the 18cm cake on the top of the 22cm. 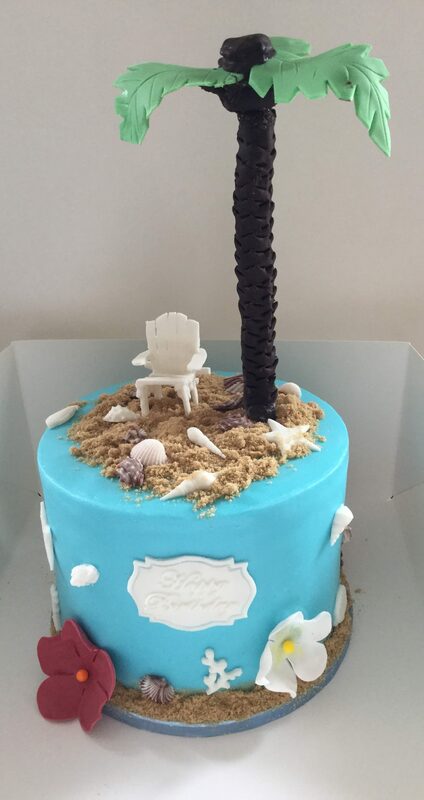 I decided from the beginning the the only non edible bit of the cake would have been the tower in the middle. 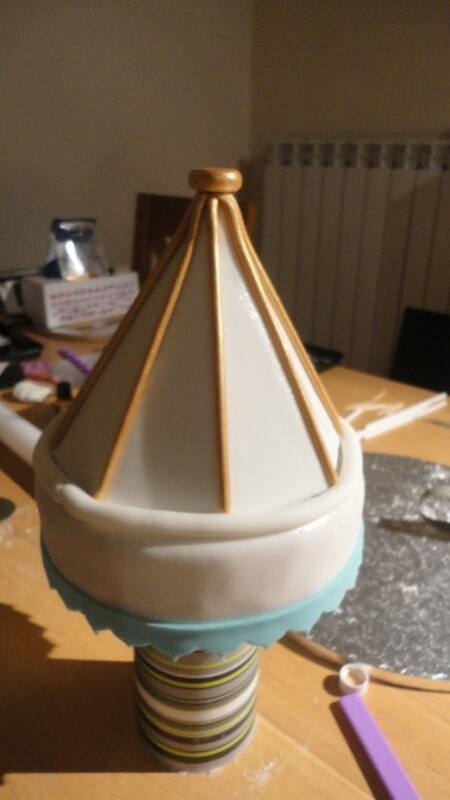 At the beginning I thought to use a kitchen roll and cover it in fondant but then in one of my cupboards I found a cardboard bottle tube and I quickly thought that it’d have been PERFECT to make the central tower. 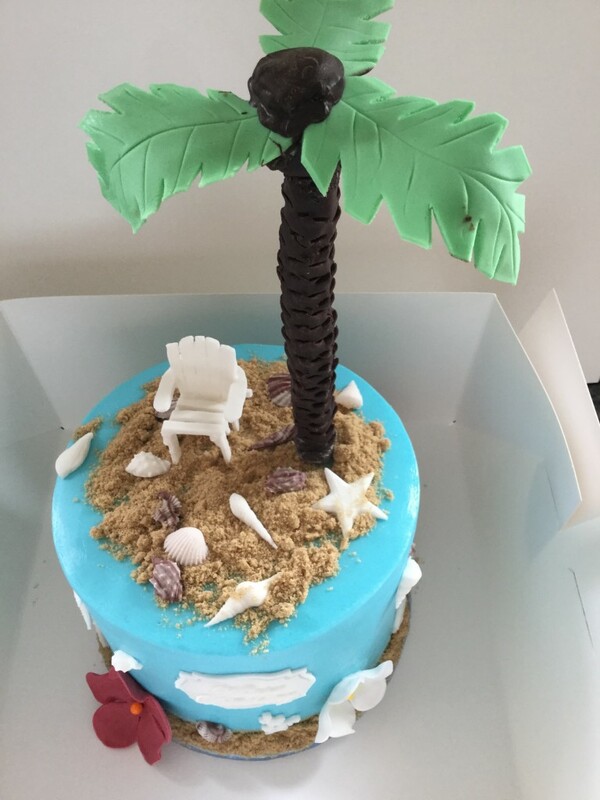 In fact when I placed it on the top of the 18cm cake it was well proportioned to the other measures, beginner luck again I guess! 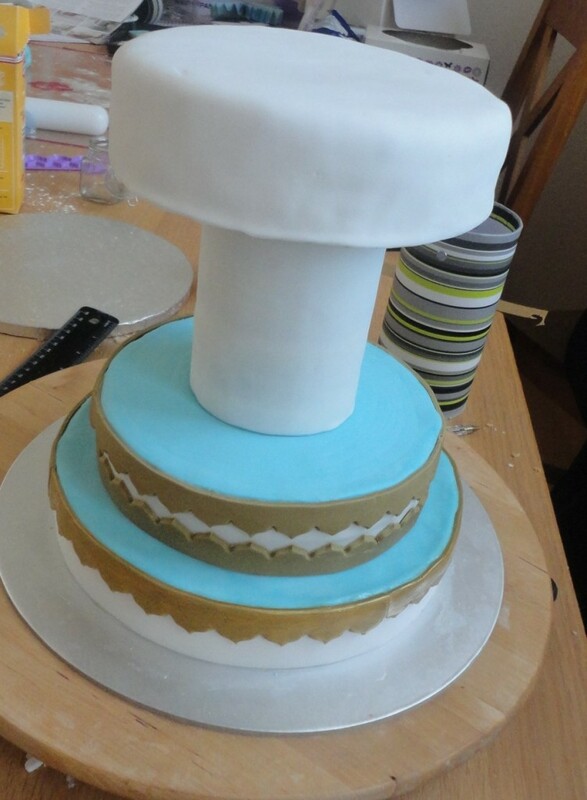 As you can see from this picture the tower looks very bumpy, that’ s because I tried to covered it in fondant but it kept trapping bubbles of air! I was so fed up, I tried 3 times to cover it and then my husband proposed to just covered it with white paper: GREAT! 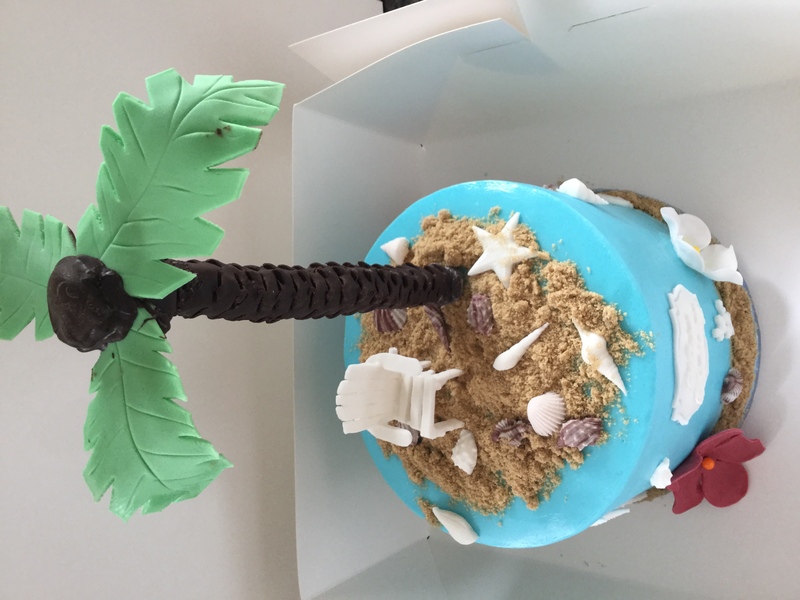 As I mentioned before, the cake on the top wasn’t covered in ganache but just fondant and the reason behind it is that it didn’t need to look perfect because it would have been completely covered by decorations later on, so one less job to do! Here it’s the tricky part… the cone.. please allow me to say the BLOODY cone!! 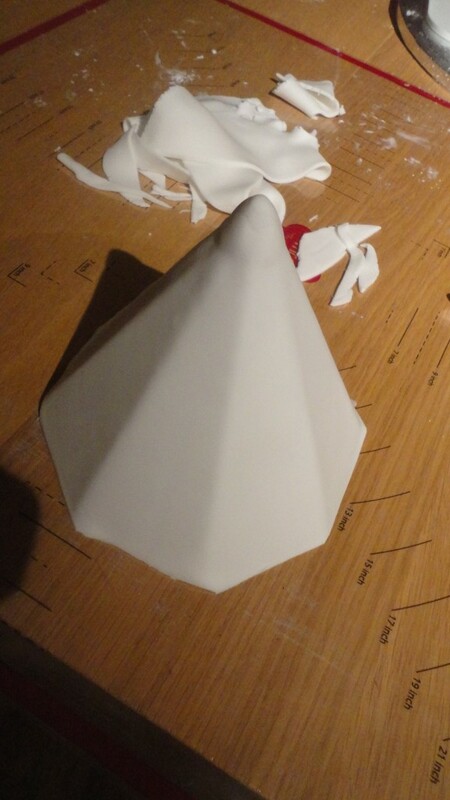 I made the base of the cone out of a tick paper and tried to get it proportioned to the size of my cake but then it was so difficult to cover it in fondant! I thought.. either I’m using a very cheap fondant (well to be honest I use the Tesco brand but it has always worked so well!) or either this is just very hard to do! 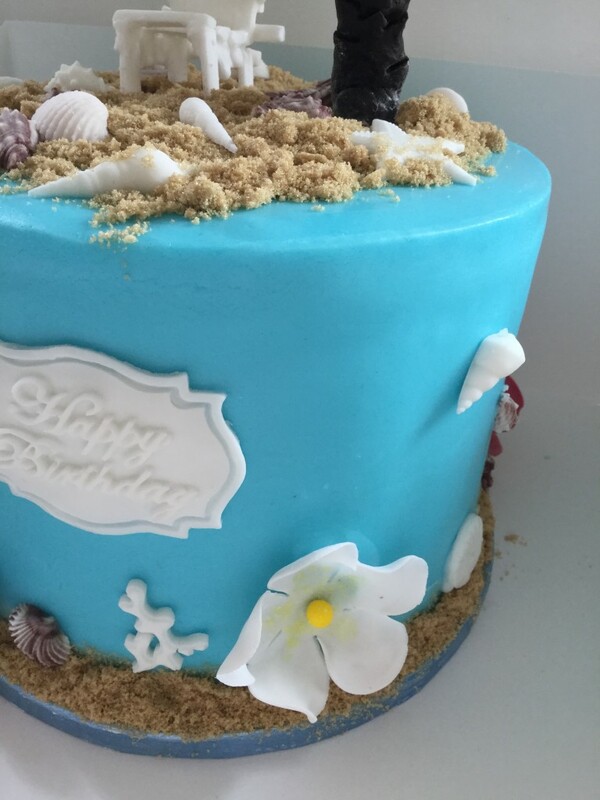 I did, let me think 4/5 attempts to cover it with fondant.. every time it was breaking on the top… once I was rolling it around it wasn’t big enough so I had to start all over again, roll it and try again.. and again.. I was almost giving up, I swear! Then it magically worked! I rolled a big round white piece of fondant and then I placed the cone on one side and rolled the fondant around the cone. It doesn’t matter if the two parts of fondant don’t join perfectly as you can always make that the back of the cake I guess! 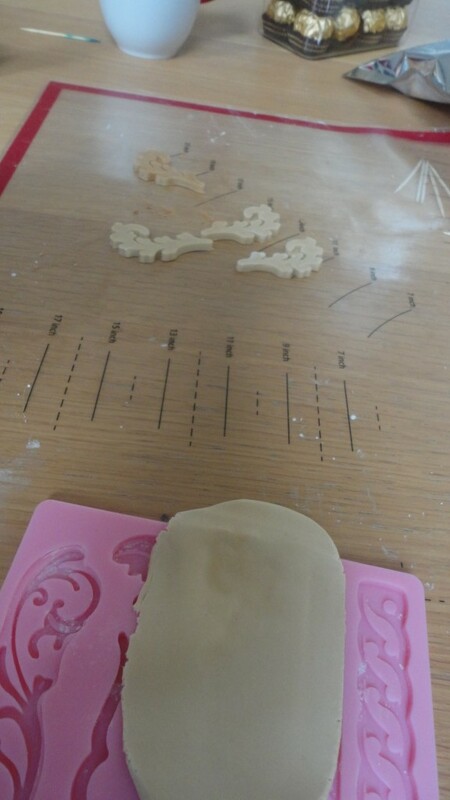 Once you got your cone remember to create a long “sausage” of fondant to put around the base of the cake. This will ensure that the cone will not move from the base and that you have a place where you can attach more decorations. 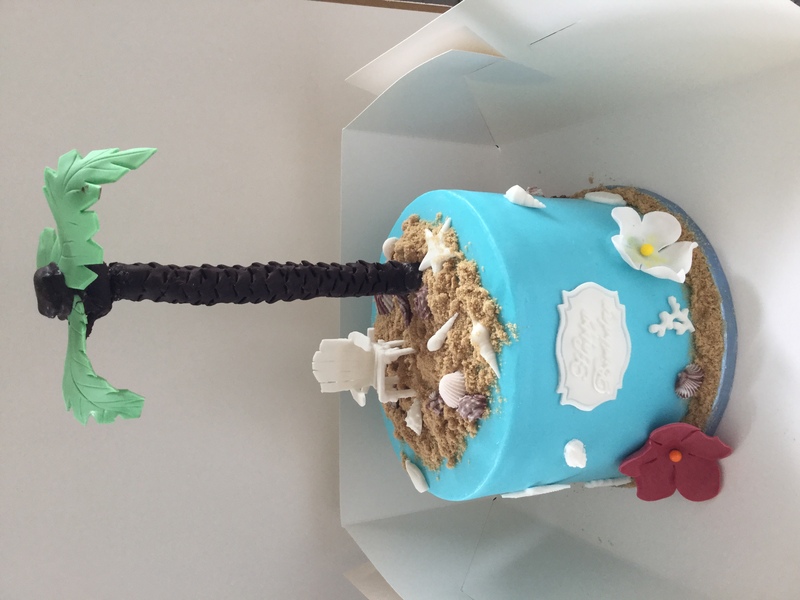 Remember the rule “less is better” doesn’t work for a carousel cake, in fact in this case more decorations you have the better the result is! 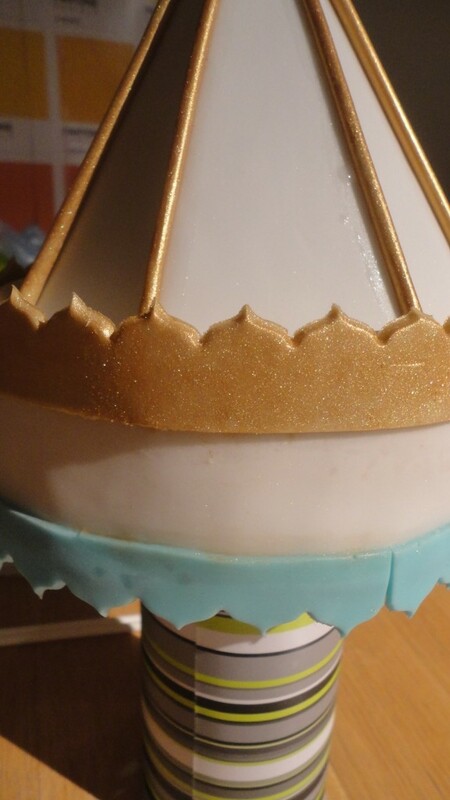 To make the long golden fondant “sausages” used to decorate the cone, I first rolled out long pieces of fondant then I smoothered them with a cake smoother. I know, you need to be patient.. very patient but they come out perfectly round. 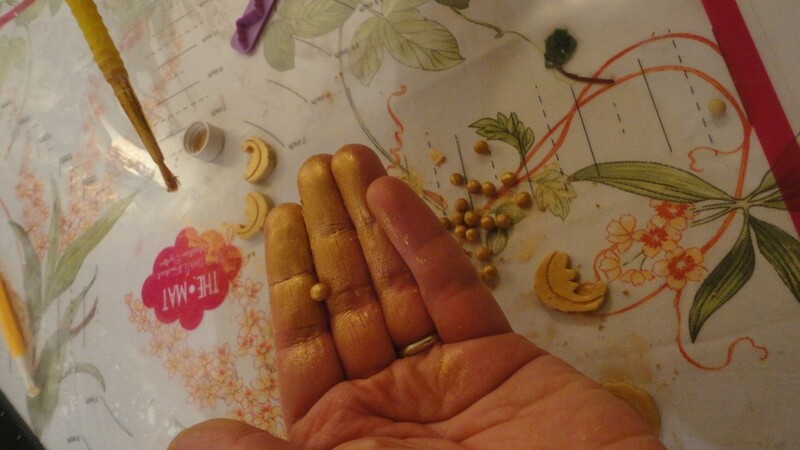 Then, like for the other decorations, I brushed them with golden lustre dust. 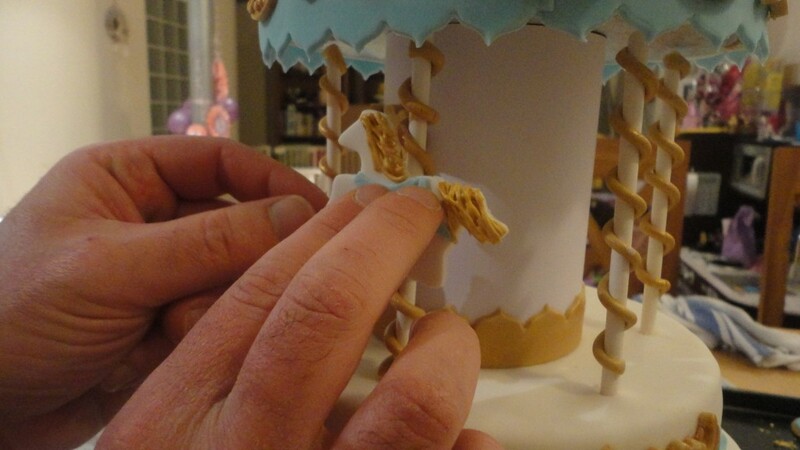 TIP: To make the top cake more stable I glued its cardboard base to the top of the tower using some super attack glue. 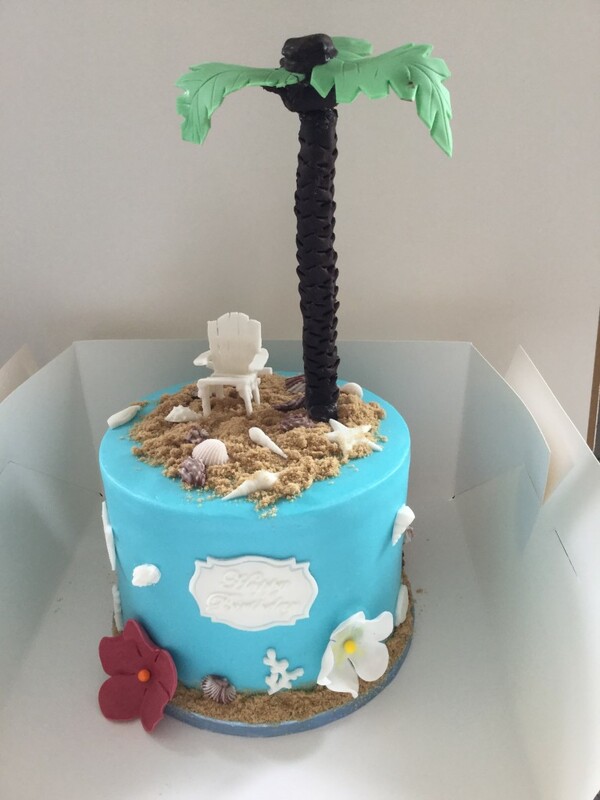 The tricky part of this cake is that you cannot really prepare much of the decorations in advance. 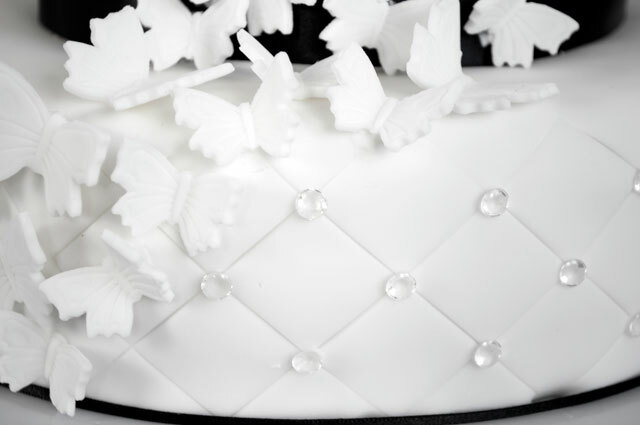 In fact if you prepare the fondant decorations days before, they get hard and once you try to place them on the cake they crack and don’t bend to follow the shape of the cake. 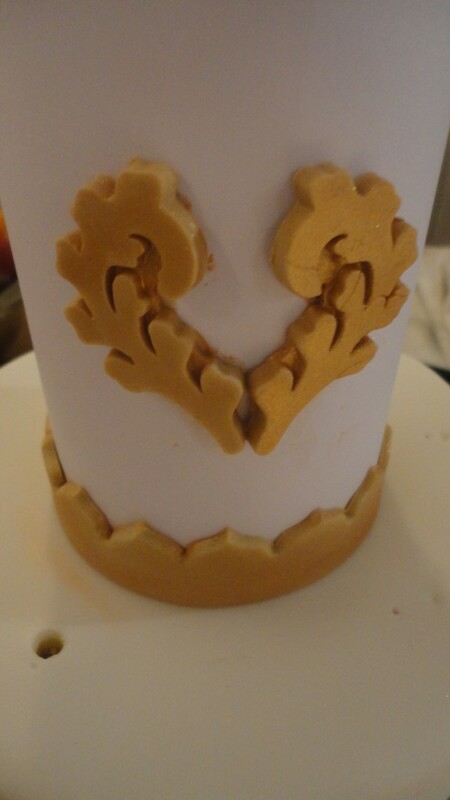 For the decorations I used two different types of frill cutter, different plastic moulds and a horse cookie cutter. First of all I started rolling my light blue fondant in long stripes then I gently pressed the frill cutter on the fondant. MISTAKE Number ONE Please don’t be as daft as me haha. At the beginning I cut the fondant as long as the lenght of the plastic cutter but that meant that once I put it on a cake you could see different gaps between the stripes because I could not perfectly joint each stripe to the other (see picture below). So please instead press the frill cutter on the fondant then lift it up and position it again where the first stripe finishes. I should probably make a video to better show you… anyway make a long stripe! MISTAKE NUMBER TWO: Because I was worried that by the time I had finished brushing the stripes with golden lustre dust they would have become hard, I started attaching them to the cake and only then I brushed them with lustre dust. 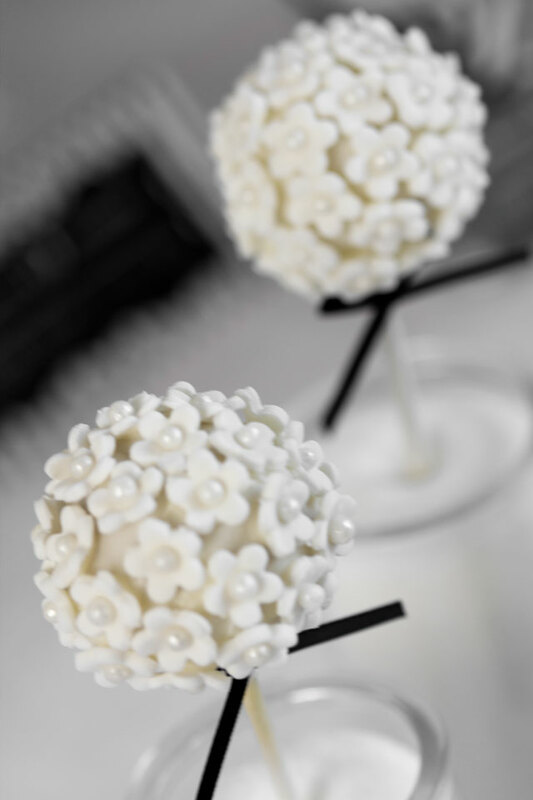 Please DO NOT do this because it is almost impossible to avoid some lustre dust landing on white bits of fondant, and once it’s there you cannot get rid of it! 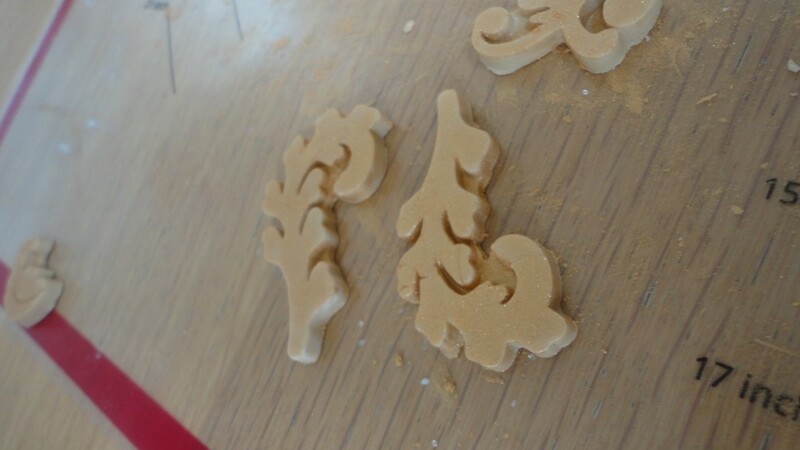 I made different decorations using the plastic moulds and powder them with golden lustre dust too. 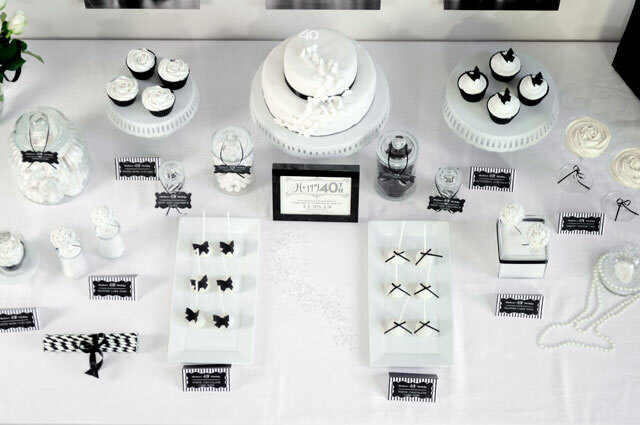 TIP: please remember to brush the plastic moulds with some cornstarch and tap them to remove the excess before you press the fondant in them. This will make the decorations come out easily. 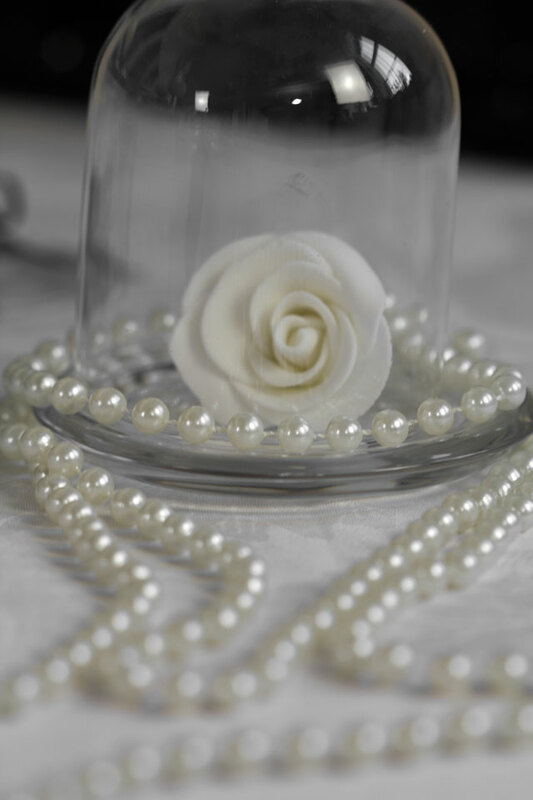 We made some little fondant pearls which were the decorations used for the bottom tier and those were covered too in lustre dust. To attach all the decorations to the cake I brushed each one of them with little edible glue (if you put to much of it the piece tend to slide down the fondant!) and stuck them to the cake using our creativity. TIP: make your own edible glue! 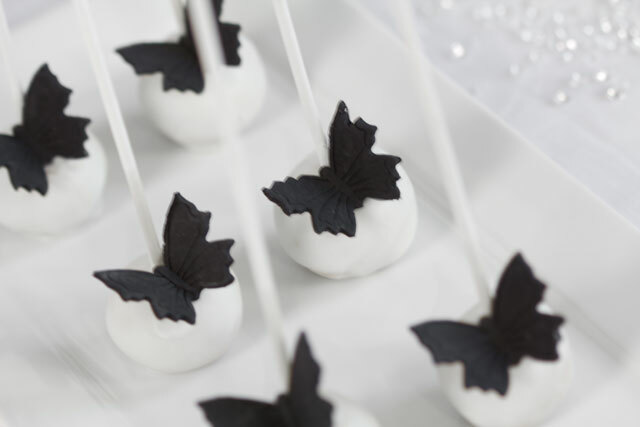 To stick the sugar decorations on the cake, mix some tylose powder with some water and it quickly becomes pretty tick, ready to use edible glue! Easy right? Because the horses really didn’t want to stay in place, we glued them to the poles using super attack. We just needed to remember our guests not to eat them! For the posts I used cake dowels. 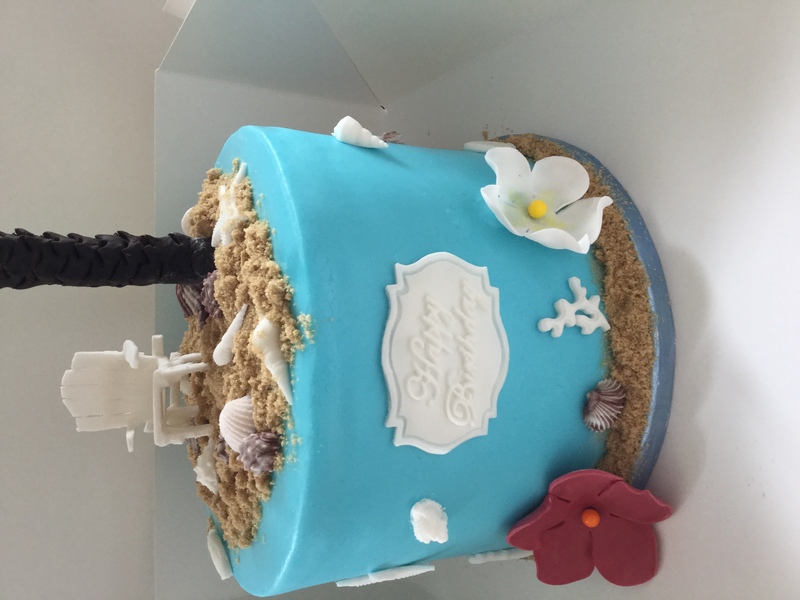 They were the perfect height for my cake so I didn’t need to cut them, I guess this was AGAIN a bit of beginners luck! 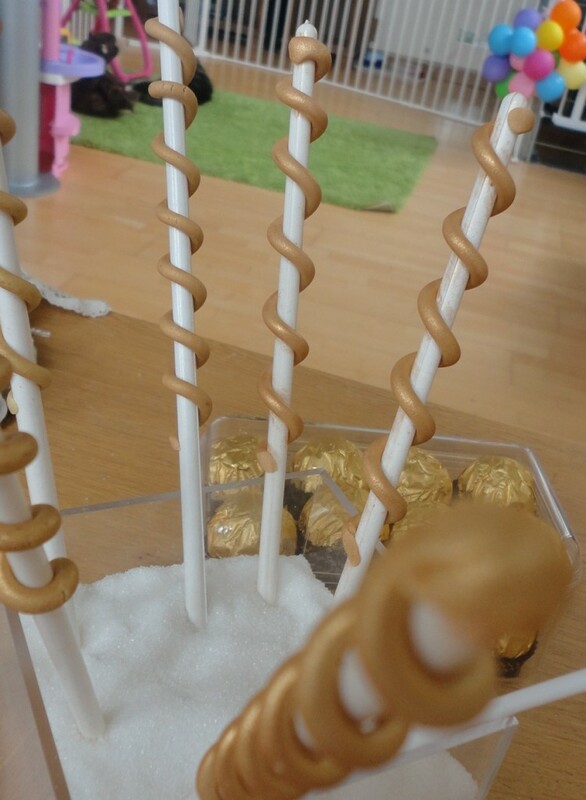 On each dowel we twisted a little sausage of golden fondant and let it dry. 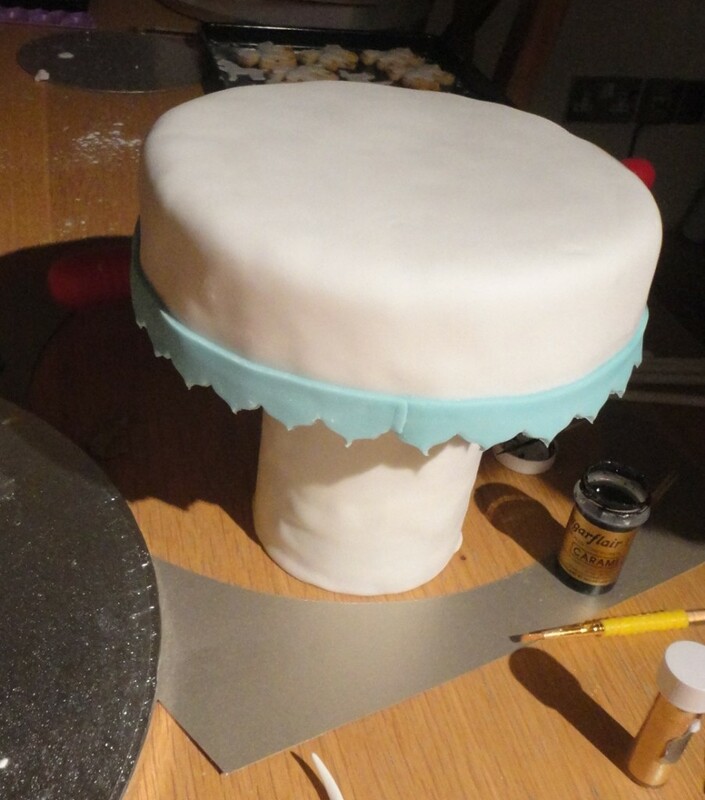 The tricky bit was getting the right measurements to insert the dowels into the cake. 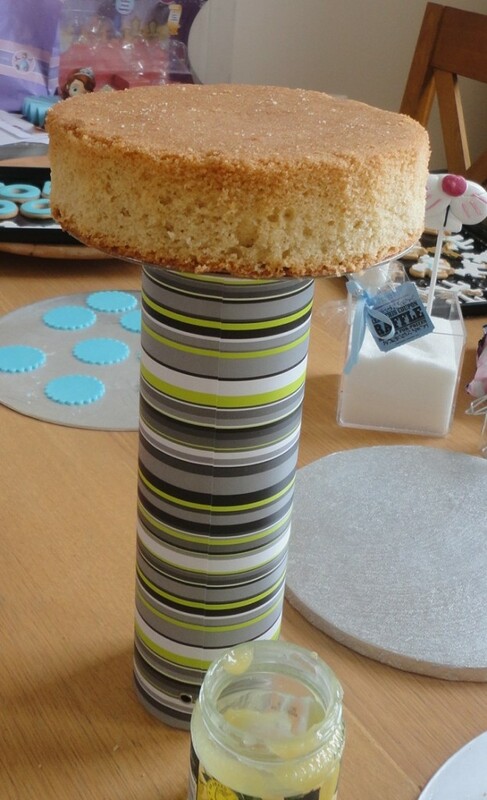 The dowels should be equally distant from the tower and placed in a way that the left side of the cake mirrored the right side. Once we fit them, we then placed the top tier on the tower. We now only needed to worry that it was well centered (otherwise it would have fall when we moved the cake) and that during the night the cat would not jump on it! I think I took this picture at 1 something am in the morning… Aaaand breaaaaaaaaaaaath…. I hope this tutorial was helpful. Please share any comment with me and ask any question you might have as I’m sure I forgot to explain something! 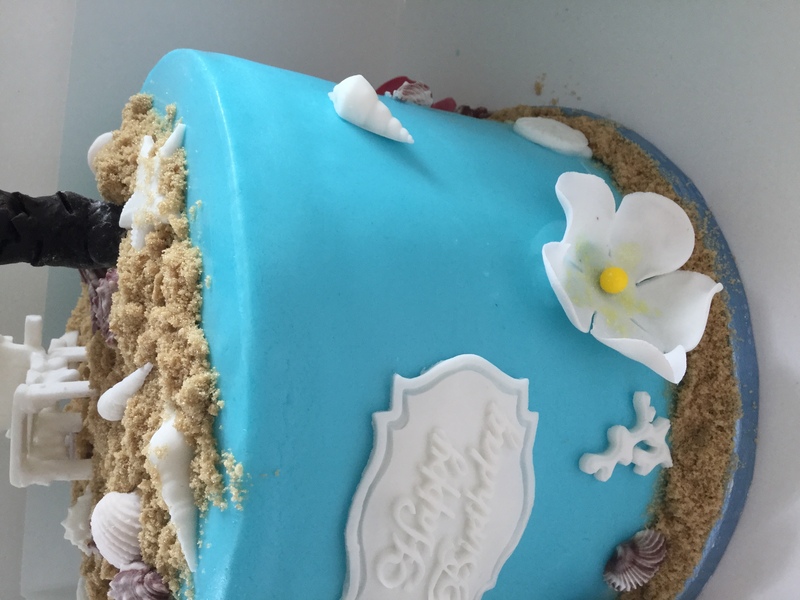 My son’s birthday was already a special day and this cake made it even more special so I really hope you will attempt to create one Carousel cake to make your celebration a lovely memory! 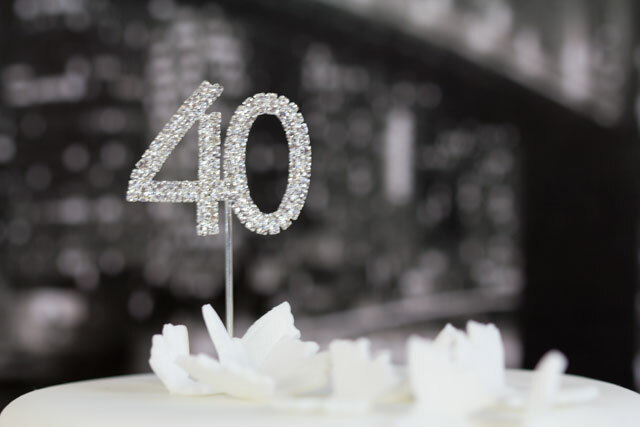 Two weeks ago my lovely sister celebrated her 40th birthday! My sister Barbara is a sophisticated, smart, elegant and beautiful woman and somehow I really wanted this table to represent her. Unfortunately we could not be together as she lives in Italy and she could not make it over here to see what I have planned for her but it was a lovely surprise that we shared through Skype: she was thrilled to see what I made for her! Such a pity she could not taste any of it. I decided to keep everything black and white and give a touch of color only by adding a bunch of white roses. 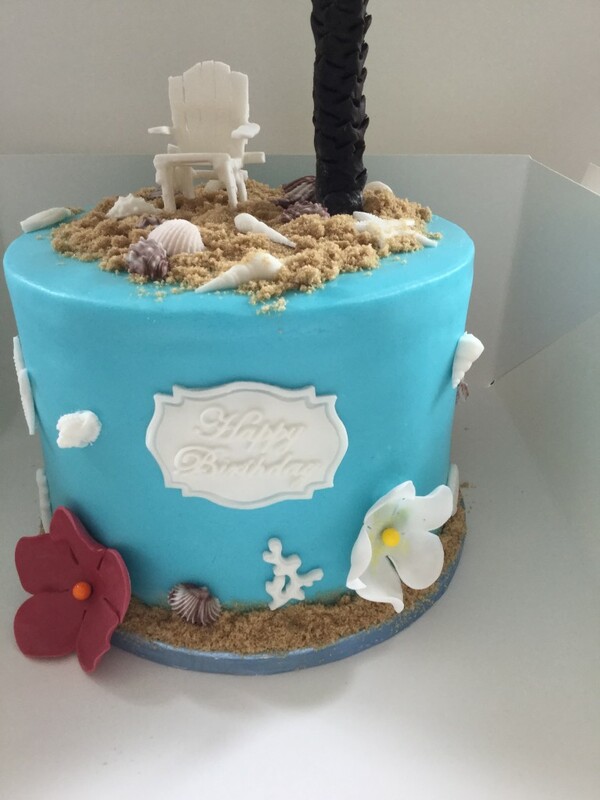 The centre piece was a two tiers vanilla cake with a double layer of crème patissiere and forest fruit coulis. 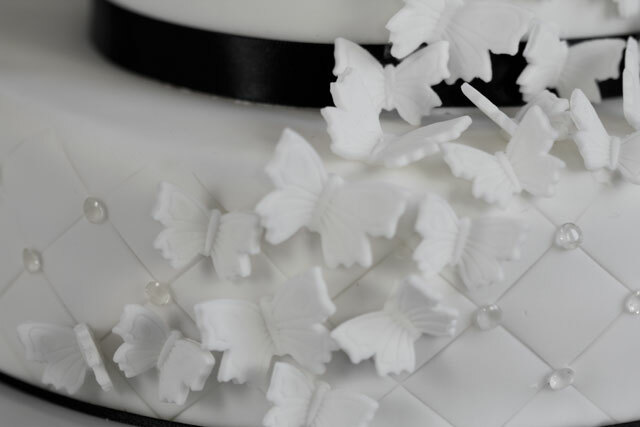 The cake was covered in white fondant and decorated with fondant sugar butterflies and edible diamonds. 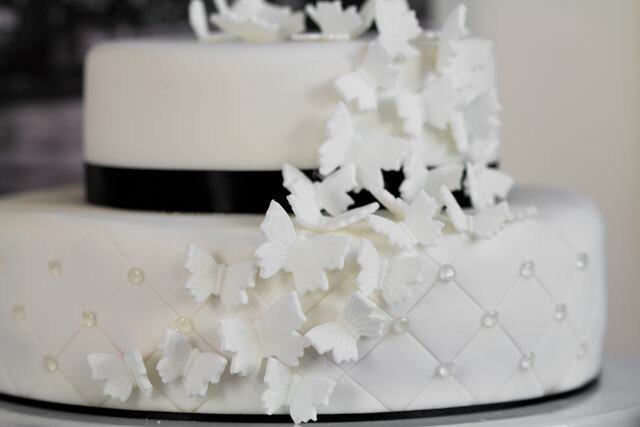 Bee and I prepared the sugar butterflies well in advance so by the time we had to apply them to the cake, they were dry and took the desired shape. 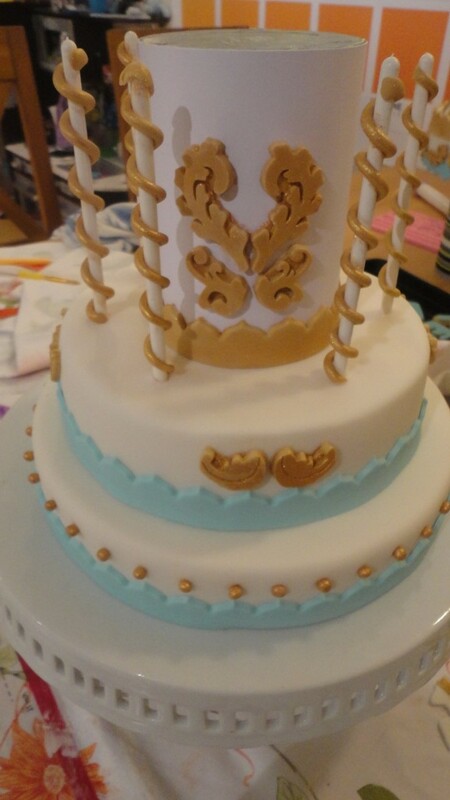 My husband helped me to stick the diamonds to the cake because at one point I got really annoyed as the diamonds kept falling down on the table! See what husbands are for? They remain calm during a baking crisis. 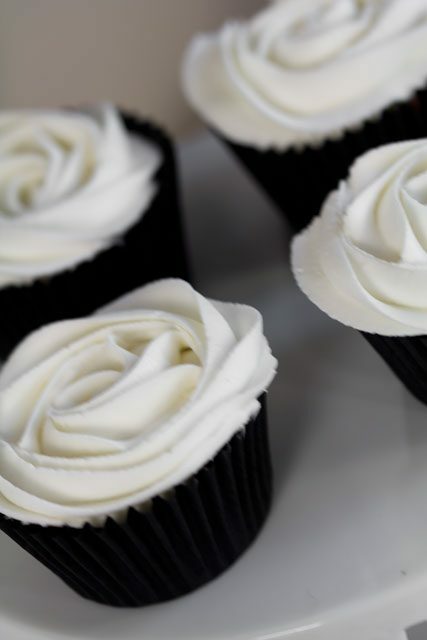 The white rose cupcakes had a vanilla chocolate base and they were covered with simple frosting made of icing sugar and butter. To make these white chocolate cake pops I actually didn’t use the cakepop maker I recently bought but I followed the instructions from the book “Bake my I’m yours” therefore I baked a cake, crubled it and then added frosting to it. 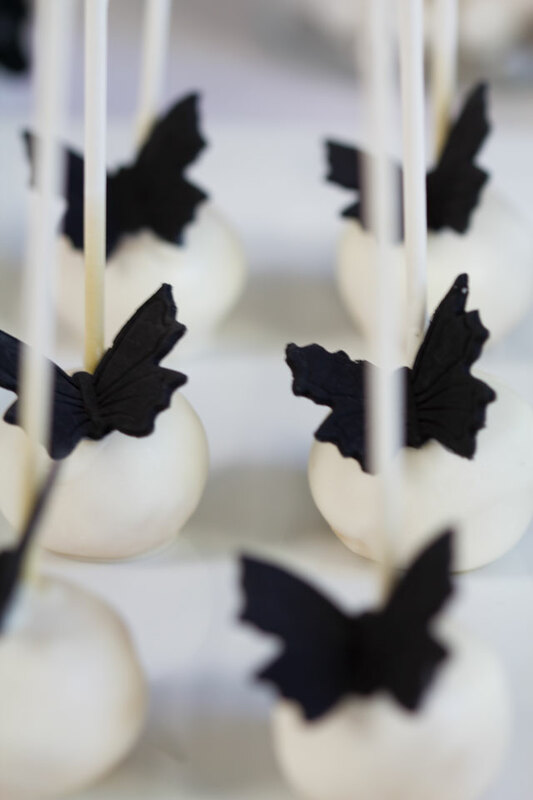 By doing this, the shape of the cake pops is rounder and looks kind of perfect! 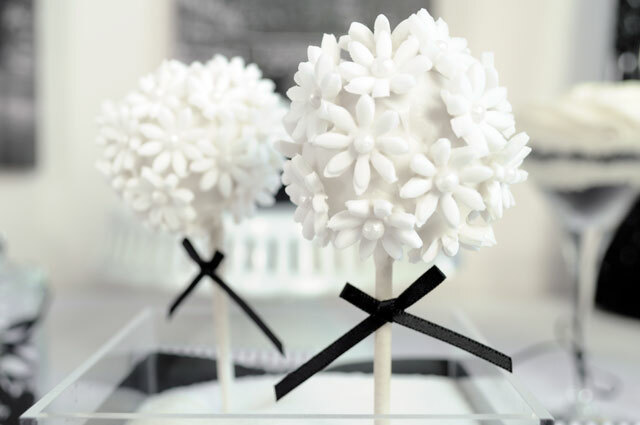 To make these flower cake pops I followed the same recipe I used for the butterfly cake pops and I covered them with sugar flowers . 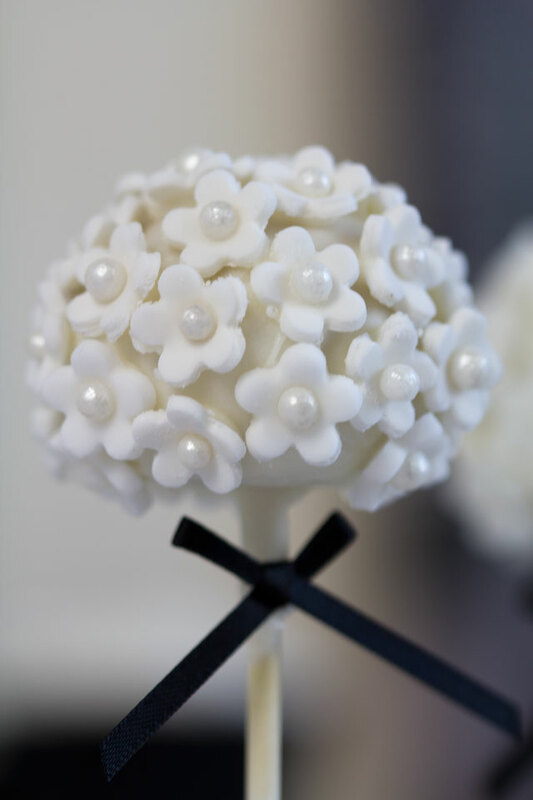 Each one was decorated with an edible pearl. 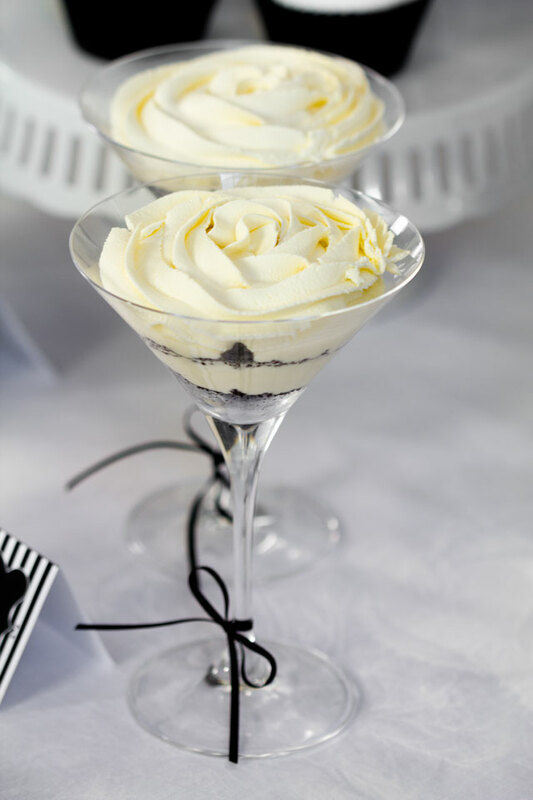 I used Martini glasses to serve these mini Oreo’s cheesecakes. This is a recipe that you can find on my Pinterest. The taste is pretty sweet but absolutely yummy! This sugar white rose was my husband’s first attempt at creating a fondant white rose! Pretty good eh? 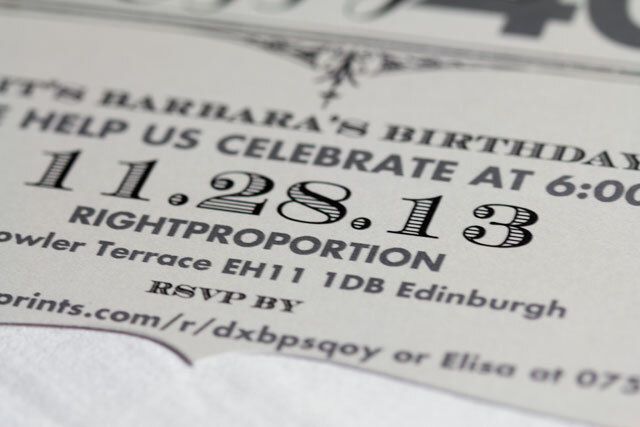 I ordered some party invitations from the Tiny Prints website. 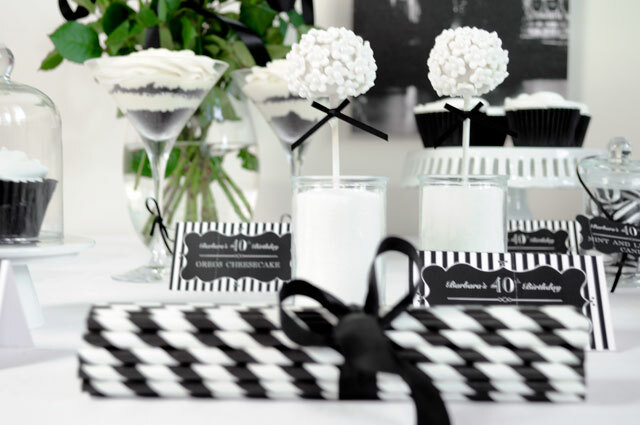 These were a perfect match for this dessert table. 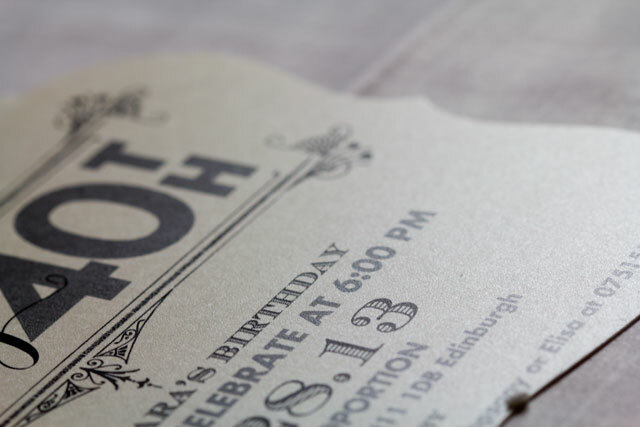 The quality of the paper is just amazing and hopefully, through the pictures, you can see that the invitations had a pearlescent finish. Just fab! 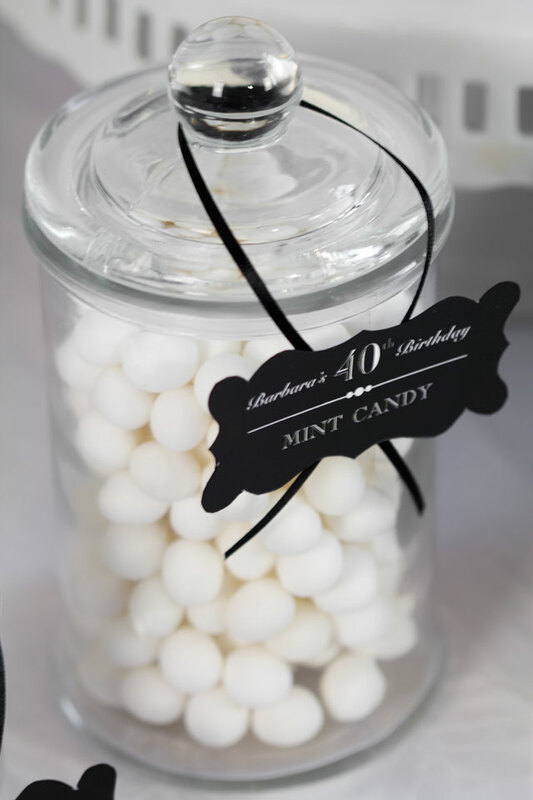 I used few apothecary jars which I absolutely love and filled one with meringues, a couple with liquorice and mint candy, one with Oreos and another one with mint candy. I think they look really good on the table. 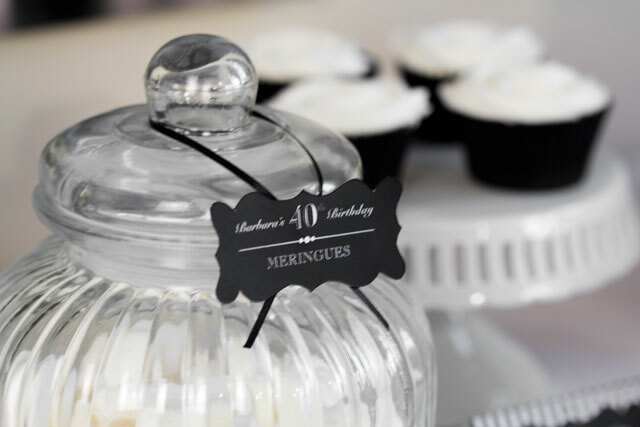 My husband, who is a graphic designer, was kind enough to create these lovely food cards to place on the table and to hang on the jars. I think they give a classy touch to the table. 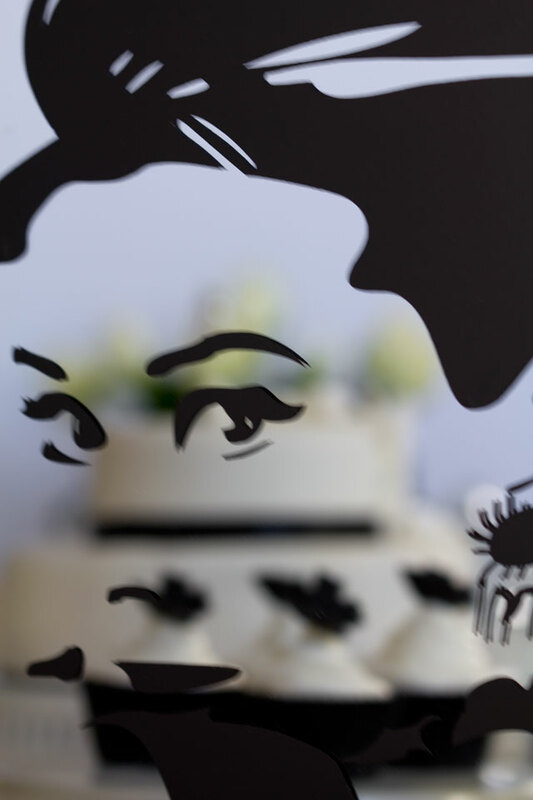 I was looking to use a canvas or a print of Audrey Hepburn. Then I decided to use a baroque framed mirror where I stuck an Audrey Hepburn vinyl I bought online. I was quite pleased with the result!